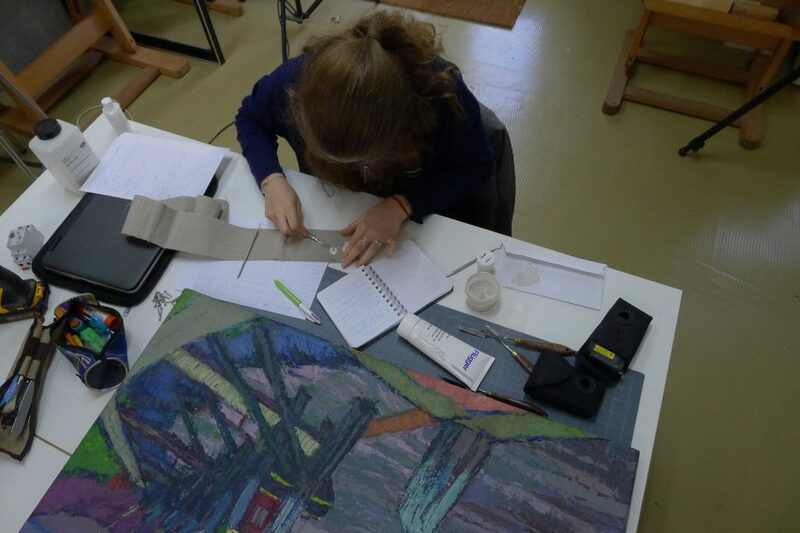 My name is Morgane Noly, and I’m a French student of painting restoration at Ecole de Condé in Lyon. I have always been interested in art and art history. At the age of twelve, I heard for the first time about professional restoration of paintings. I saw a very old and damaged painting and, as a very sensitive girl, I couldn’t understand why people would let it be like that. This is how, after some research, I discovered restoration and conservation of art and it became immediately a passion for me. During the month of June 2015, between the second and third year of the first cycle of my education, I had the chance to do an internship abroad at the atelier of Marjan De Visser. For me, going outside France permits me to discover a new way of thinking and another vision on painting conservation and restoration. This is a really interesting and rewarding experience. I think it’s important to see daily work life at and the organisation of a conservation and restoration atelier. For a student, this is the only way to see the reality of a profession. During this month I learned and practiced a cleaning technique developed by Richard Wolbers. I also worked in different museums and participated in conservation projects like the De Ploeg Painting Conservation Project in the depot of the Groningen Museum. I really enjoyed doing different work types, to see the variety of techniques a restorer can use in restoration. Dit bericht werd geplaatst in restauratie, stagiaires en getagd interns, stagiaire door marjan de visser . Bookmark de permalink .